It's nearly a word-less Wednesday, here. 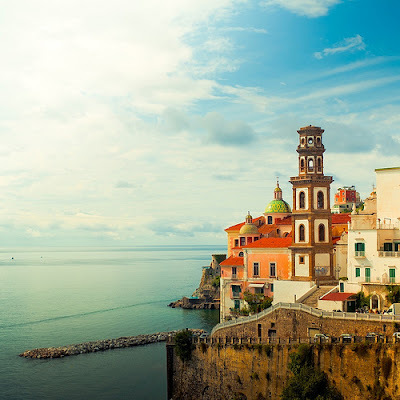 Andrew, a Kiwi, of the Cuba Gallery has taken some gorgeous photographs in Italy, including Amalfi, in Calabria, along the Mediterranean . Isn't it enchanting? Giulia would love Amalfi. Cats are well-loved in Italy & her love of la passeggiata would be indulged. 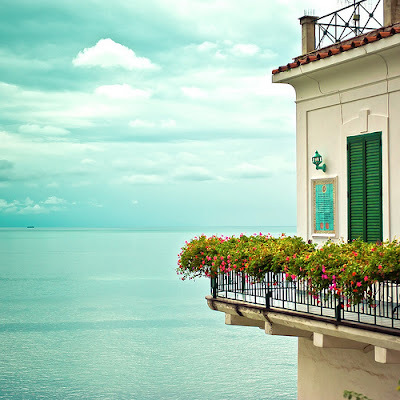 Her editor loves the Amalfi coast, too. Since we can't be there today, we're swooning over Andrew's photographs. 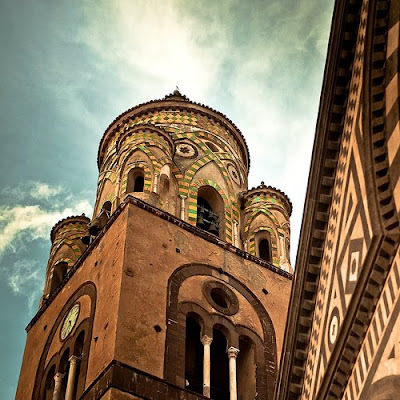 Visit Italian Notebook to look up places you would like to visit in Italy. PS: Here's an eggplant Parmesan, Amalfi-style. It would be great for Meatless Mondays.